Scottish based bid specialists, AM Bid Services, is delighted to announce that it has become a Commercial Associate of the Scottish Federation of Housing Associations (SFHA). The company has joined SFHA as a Commercial Associate to build on its existing rich knowledge and working experience within the housing sector. It considers its involvement with the federation to be a central plank of its business growth strategy. Offering SFHA members a breadth of bidding experience in the housing sector, AM Bid Services has a proven track record in delivering winning bids for contracts in professional services, development and construction, repairs and maintenance, energy efficiency, mechanical and engineering, care services and telecare. AM Bid Services is led by qualified housing professionals. Andrew Morrison FCIH, Managing Director, has previously worked within the Housing Departments of City of Edinburgh and West Lothian Councils and is a former board member of both Melville Housing Association and Chartered Institute of Housing in Scotland. David Gray CIHCM, Bid Development Director, has previously worked with Hanover Scotland, Link Group and as a private sector housing manager. AM Bid Services also brings a strong commercial expertise to the SFHA’s membership, built on Andrew and David’s experiences gained working in the energy efficiency field for British Gas and EDF Energy respectively. The company is currently in its third year of trading, following two years which saw it grow at an exponential rate, with turnover for 2015/16 exceeding £250,000, up 195% on the previous year. “AM Bid Services is delighted to begin 2017 as Commercial Associates of SFHA, and we look forward to playing a full and active part with the SFHA. 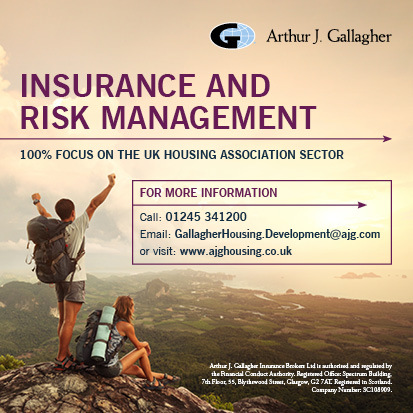 “We are excited to think about both the business benefits of supporting the SFHA and what we can give back to the sector in terms of bidding and procurement advice. Procurement is assuming increasing importance for both housing clients and suppliers and contractors. Pictured: The AM Bid Services team. From left to right: Cameron Houston, Bid Development Executive; Dane Thomson, Bid Development Executive; Andrew Morrison, Managing Director; and David Gray, Bid Development Director.